The Badger Speech Team competed at the Ainsworth Invitational on Saturday, February 16th. Persuasive: Mercy Maunu, 2nd place; Audrey Brawner, 4th place. Extemporaneous: Shyanne Urbin, 2nd place. Humorous Prose: Lindsey Boes, 2nd place; Mercy Maunu, 4th place; Josiah Maunu, 6th place. Serious Prose: Rita Woodraska, 2nd place; Madelyn Pilakowski, 7th place; Madison Brackeen, 9th place; Jessica Reynolds and Katherine O’Dell, superiors. Duet Acting: Calvin Stoeger and Kaylee Vavra, 2nd place. 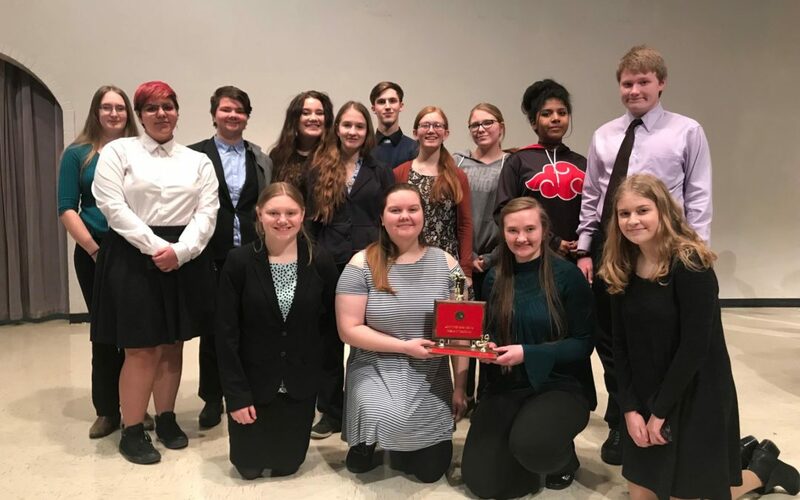 The Badger Speech Team will travel west to the Gordon-Rushville this Saturday.